Annie Land is the new Library Associate 1 for the Browne Popular Culture Library/Center for Archival Collections. Annie had previous experience working with archival materials and in preservation. She is an MLIS student at the University of Pittsburgh and a former CAC student employee. Heather Fishpaw is the new Library Associate 1 for the Curriculum Resource Center. Heather worked in the CRC as a student employee since 2009 and has served as a student supervisor since 2011. Heather recently graduated with a degree in Early Childhood Education from BGSU. Samantha Ashby is the new Reference Archivist in the Center for Archival Collection. She previously worked for Viacom International (formerly MTV Networks) in New York City as Digital Media Archivist; she also has experience with the Gerald R. Ford Presidential Library in Ann Arbor. Eileen Bosch is the new Coordinator of Library Instruction. Eileen’s former position was with the California State University (CSU)/Long Beach as a Senior Assistant Librarian. She has prior experience working in the UL’s Curriculum Resource Center and in the Library Teaching & Learning Department. In addition, she served as an adjunct instructor for the College of Education and Human Development. Eileen has many successful years of reference and instruction experience and is knowledgeable with emerging technologies and the development of student learning outcomes. Tricia Tichon was hired as Accountant, Library Planning, Budgets and Assessment team, on May 20, 2013. Rachel McPherson was hired as Library Assistant 4, Scholarly Resources & Special Collections team, on July 29, 2013. Ernst & Young (EY), the global “Big Four” professional services firm formed via the 1989 merger of Ernst & Whinney and Arthur Young & Company, has gifted its historical archives to Kelvin Smith Library. The collection will be known as the Ernst & Young Founders Archive. The archive includes such memorabilia as handwritten accounting ledgers detailing firm transactions from the early 1900s, firm advertising from the 1920s, Ernst & Ernst employee and management communications dating back more than 90 years, awards, vintage photos, Arthur Young’s personal cash book and many other historical items. Kelvin Smith Library’s Personal Librarian program is heading into its second year with new changes and improvements. KSL introduced the program last year to provide all incoming first-year students with their own Personal Librarian (PL) to serve as their point of contact with the library. PLs can help students find their way around the library, assist with research, answer library-related questions and more. This year, a PL will be assigned to each first-year seminar sections and the students within. Having a PL for each section is ideal for encouraging peer learning, as the PL will be able to develop a relationship with a group of students with common goals. initiative of the National Endowments of Humanities and the Gilder Lehrman Institute of American History. Created Equal film sets were distributed to museums, libraries and community organizations in all 50 states to encourage public conversations about the changing meanings of freedom and equality in U.S. history and civic life. Joshua Michael recently accepted the newly created position of Information Services Librarian-Health Sciences Liaison. Josh graduated from Cedarville University in 1999 with a degree in History. He earned a Master of Divinity degree from Northwest Baptist Seminary in 2004 and a Master of Library & Information Science degree from University of Pittsburgh in 2007. He most recently served as director of Baptist Bible College & Seminary in Clarks Summit, Pennsylvania, where he also taught classes in the history of Christianity and the American Civil War. He has contributed to a number of reference works in the areas of American history and military history. Ginna Witte was extremely excited to see her name in print for the first time this past summer. “How to Find and Create Social Media Content in your Library” was published in Elsevier’s Library Connect newsletter in August (http://libraryconnect.elsevier.com/articles/marketing-advocacy-roi/2013-08/how-find-and-create-social-media-content-your-library) and “Content Generation and Social Network Interaction within Academic Library Facebook Pages” is slated for publication in the Journal of Electronic Resources Librarianship later this Fall. Many thanks go out to Kathleen Pickens for her tireless editing assistance. 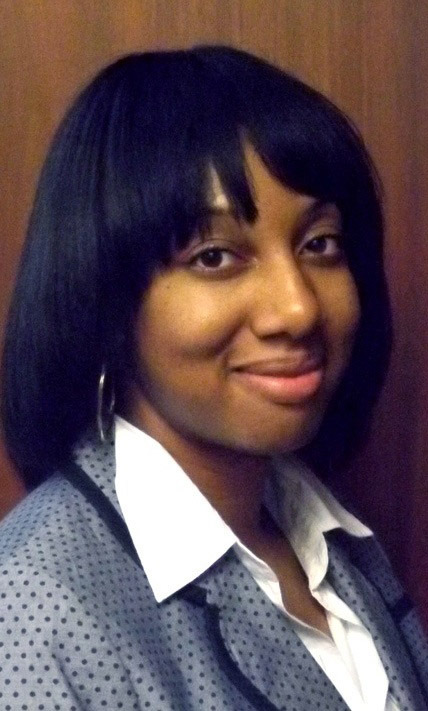 The Kent State University Libraries are pleased to announce the appointment of Lae’l Hughes-Watkins as University Archivist in the department of Special Collections and Archives. Ms. Hughes-Watkins is a graduate of Youngstown State University with a BA in journalism and political science and an MA in English. She earned her MLIS at Kent State University and was a Read Graduate Assistant appointee in Special Collections and Archives. Her post-graduate experience has been as an Instructional Librarian and Coordinator of the Student Learning Center at Eastern Gateway Community College, as well as serving as an English curricula consultant in the Ohio State University Young Scholars Program. The Kent State University Libraries Department of Special Collections and Archives is marking the 25th anniversary of the Borowitz Crime Collection at Kent State with exhibitions and programs throughout the year. This extensive collection includes both primary and secondary sources on crime as well as works of literature based on true crime incidents. It includes groups of materials on specific criminal cases which have had notable impacts on art, literature, and social attitudes. Please check our website for updates on events, starting this fall: http://www.library.kent.edu/scevents. Miami University Libraries’ Special Collections team has assembled two new public exhibitions. The first, an on-campus exhibit running through December, showcases the contributions and legacy of the many sporting coaches that had their careers shaped at Miami and are now honored in the University’s Cradle of Coaches. The second is an online exhibit that spotlights the University’s continued partnership with the Miami Tribe of Oklahoma. Located at http://spec.lib.miamioh.edu/giftofhistory, this site will feature many of the Tribe’s historical documents, including eight early 19th-century land grants and a map of an Indiana town on historic Miami lands, which were recently returned to the Tribe. The ALA and NEH recently awarded the Miami Libraries two grants that will enable the library to host a series of programs to encourage and enrich conversations about the history, faith, and culture of Muslims in the U.S. and around the world. The first event in the “Let’s Talk About It: Muslim Journeys” programs is a symposium entitled “Muslim Journeys: American Stories” and will be held in Oxford at King Library on September 21, 2013. Finally, Miami University Libraries welcomes: Michael Farmer to our Hamilton regional library; as well as, Kim Taylor to our Business, Engineering, Science and Technology Library, Adam Rensch to our Center for Information Management, and Donna Peterman and Peter Thorsett to the Office of the Dean, all in Oxford. Heather McEwen has changed positions. Her new title is Curriculum Mapper for the College of Medicine. We have a new reference librarian at OSU-Lima. His name is Calvin Cleary, and he can be reached at cleary.110@osu.edu or 419-995-8488. Shawnee State’s Clark Memorial Library welcomed Rebekah Kilzer as Library Director in June. Having served as Systems Librarian at The Ohio State University, and as Technical Services Librarian, Emerging Technologies Librarian, and most recently as Head, Learning Engagement, at Drexel University Libraries in Philadelphia, PA, Rebekah returns to Ohio to provide vision and direction for Clark Memorial Library’s programming, partnerships and infrastructure. During the spring of 2014, University of Dayton Libraries will host two free cultural programs with the support of grant funds awarded by the National Endowment for the Humanities. “America’s Music: A Film History of Our Popular Music from Blues to Bluegrass to Broadway” celebrates American popular music with films and scholar-led discussions during the spring academic semester. The six sessions focus on these uniquely American musical genres: blues and gospel, Broadway, jazz, bluegrass and country, rock ’n’ roll, mambo and hip hop. University of Dayton is one of 81 sites nationwide to host this program series, which is a project by the Tribeca Film Institute in collaboration with the American Library Association, Tribeca Flashpoint, and the Society for American Music. The second program, “Created Equal: America’s Civil Rights Struggle,” will feature four documentary films and related scholar-led discussions that explore the long history of civil rights in America, marking the 150th anniversary of the Emancipation Proclamation. The program will encourage the Dayton community to revisit its own history of civil rights and to reflect upon the ideals of freedom and equality that have helped bridge deep racial and cultural divides in American life. The Created Equal film set was developed by the National Endowment for the Humanities (NEH) through its Bridging Cultures initiative in partnership with the Gilder Lehrman Institute of American History.